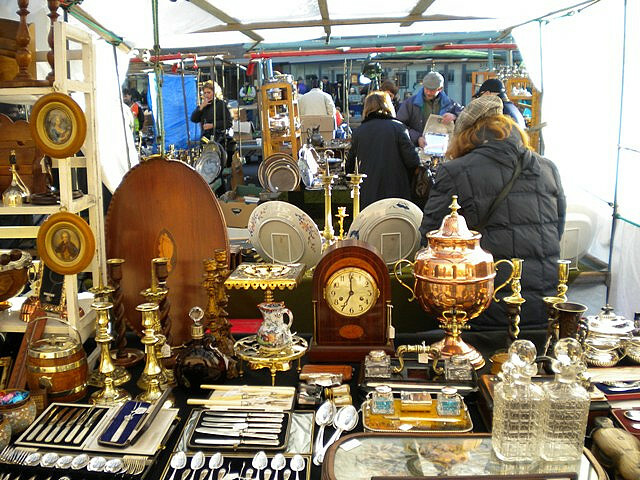 Situated in the London Borough of Southwark close to London Bridge and Borough Station, Bermondsey Antiques Market specialises in antique china, silver and glassware as well as furniture. It is a great place for bargain hunting. Open 6am to 2pm every Friday and an early arrival is recommended.